All the latest styles from the best Skateboard brands in the business! The Adidas 3MC Black/White/Black Shoes are in their element on or off the board. By combining a skate-friendly design with a clean, classic profile, these shoes will be your new best friend! Their highly versatile style is rider-friendly, with a reinforced canvas upper and an ultra-flexible Geoflex outsole that moves naturally with your foot and has great board feel. The Adidas 3MC x Evisen White/Scarlet Shoes are part of a collaboration between adidas Skateboarding and Evisen skateboards. By combining a skate-friendly design with a clean, classic profile, these shoes will be your new best friend! Driven by professional rider insights, the 3ST pushes boundaries to define the style and performance of next-generation skate shoes! The Adidas Adi-Ease Premiere Core Black/Raw Gold/Footwear White Shoes have a clean, low-profile look and ready-for-anything toughness that makes them ideal for life on the board. These Adidas Adi-Ease Premiere Raw Steel/FTW White/Collegiate Burgundy Shoes have a clean, low-profile look and ready-for-anything toughness that makes them ideal for life on the board. Pro skater Dennis Busenitz is known for his relentlessly fast, technically precise style. These shoes combine his signature look with a highly flexible, low-profile vulcanised outsole that’s the best for board feel. The leather upper features recessed eyelets and a reinforced toe for added durability. The Adidas Busenitz Vulc Crystal White/Core Black/White Shoes are so comfortable shoe to skate in. They feel like they’re already broken in! The Adidas Lucas Premiere ADV White/White Shoes is the best feel to protection combo to date. These men’s shoes are all about control, with a built-in sock liner to bring the board closer to your feet. The Adidas Lucas Premiere Crystal White/Core Black/Gum4 Shoes are the best feel to protection combo to date. These men’s shoes are all about control, with a built-in sock liner to bring the board closer to your feet. The Adidas Lucas Premiere PK Collegiate Navy/Onix/Gum4 Shoes are amazing! Inspired by archive volley shoes, pro skater Lucas Puig’s signature model delivers Adidas’ best combination of board feel and control to date. These shoes offer a unique blend of style and performance, with an ultralight and adaptive Adidas Primeknit upper. They’re reinforced in the toe to help resist abrasion, and stabilised in the heel for lateral support. Inspired by the iconic pro models of Andrew’s past. The new Reynolds G6 is a true cupsole with a ‘pour-in’ G6 poly-urethane midsole. The toecap features a double-double sided layer of hot melt that bonds the panels together. All made up to Andrew’s standards. 100% backed by The Boss. The original Accel by éS is one of the most iconic and legendary skate shoes in the history of skateboarding. The new Accel Slim is an update for today’s new generation of skateboarders! The SQUARE THREE is perfection when it comes to skate shoes. With the style details of the Square 1 and Square 2 blended together this shoe has quickly become a éS team rider (and employee) favourite! Sheep is back and this time, herded by etnies. Originally created in 1996 as a fun animal friendly brand, Sheep shoes quickly created a cult following of talented skateboarders, artists, and vegans around the world. This Sheep capsule is 100% animal friendly, made with all synthetic materials and will sure have fans flocking to buy them. 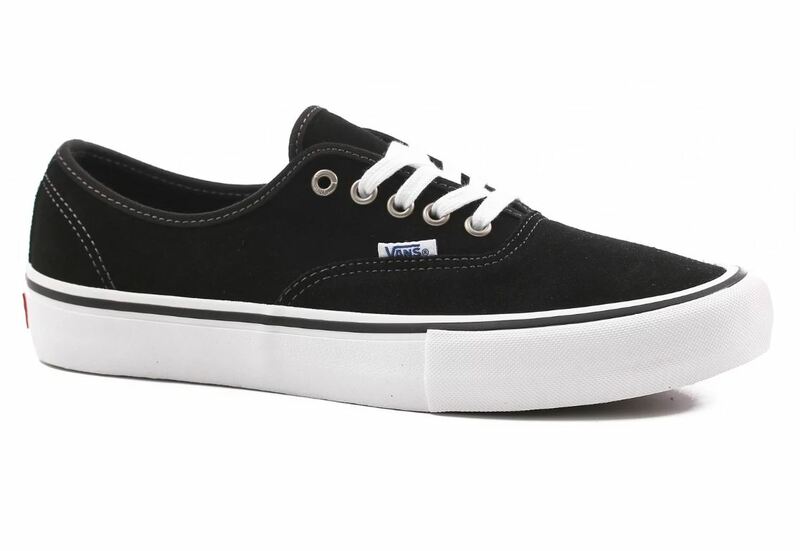 The Vans Authentic Black/White Shoes is the original and now iconic Vans style! This shoe features a simple low top, lace-up profile with sturdy leather uppers, metal eyelets and signature rubber waffle outsoles. This shoe features a simple low top, lace-up profile with sturdy canvas uppers, metal eyelets and signature rubber waffle outsoles. The Vans Authentic Navy/White Shoes is the original and now iconic Vans style! This shoe features a simple low top, lace-up profile with sturdy canvas uppers, metal eyelets, and signature rubber waffle outsoles. 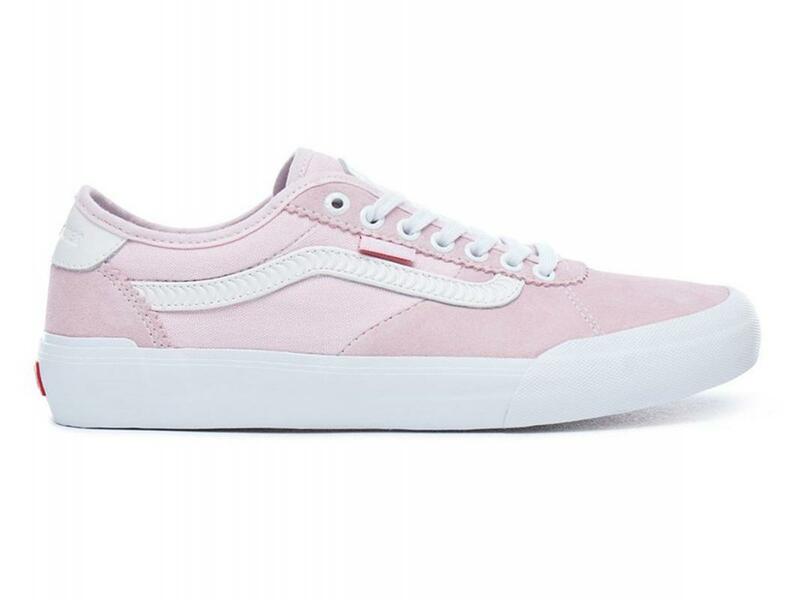 The Vans Chima Pro 2 Pink Shoes are too strong for just any one type of skating. Vans presents an all-new signature pro model from Sydney’s finest skateboarder, Chima Ferguson. The enhanced Chima Pro 2 performance skate shoe emphasises Vans’ premier UltraCush Lite 3D technology, a versatile combination of lightweight cushioning and support. The Vans Chima Pro 2 Port Royal Shoes are too strong for just any one type of skating. Vans presents an all-new signature pro model from Sydney’s finest skateboarder, Chima Ferguson. Vans Steve Caballero’s signature Half Cab Pro, a heritage skate style upgraded for enhanced performance. Bringing out the best in two legendary brands, the Vans x Independent Half Cab Pro Shoes are a collaboration like no other! 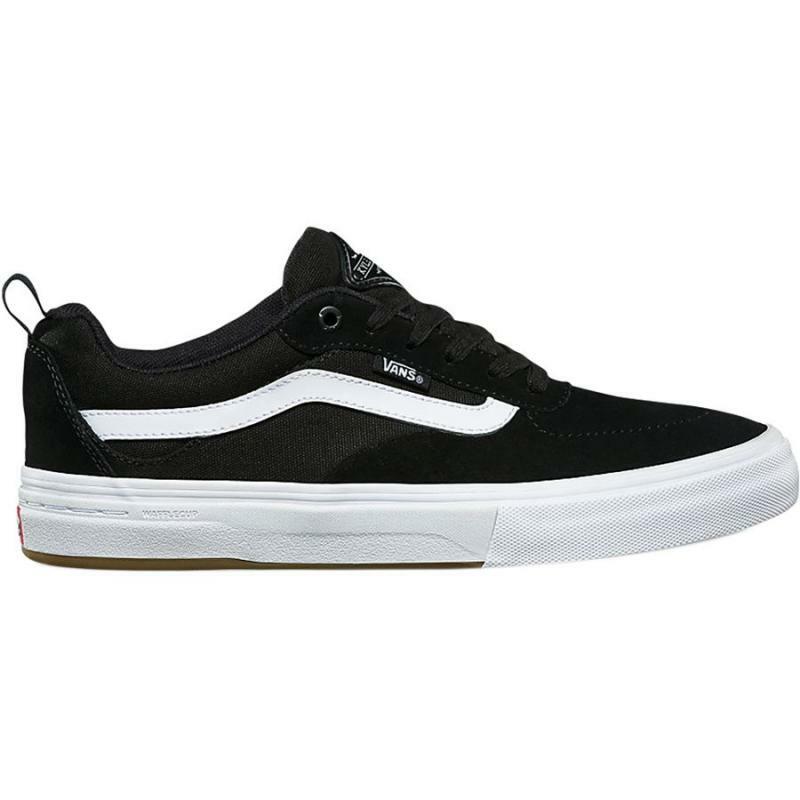 The all new Vans Kyle Walker Black/White Pro Shoes are the introductory signature model from Thrasher Magazine’s 2016 skater of the year. 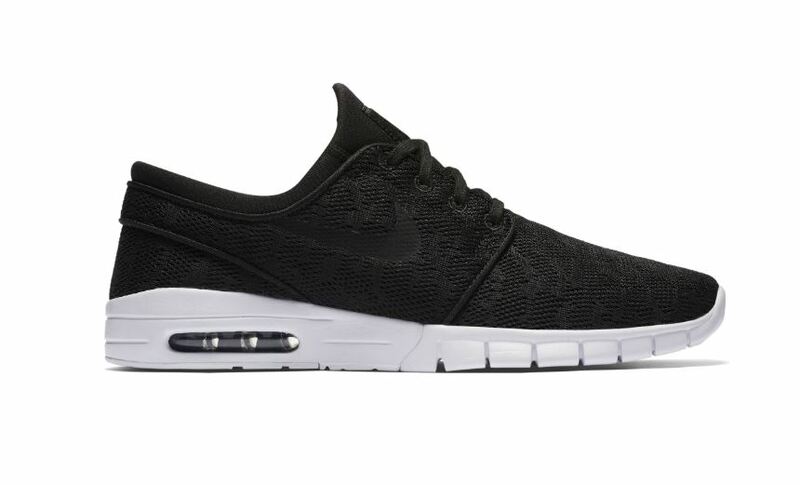 This shoe is made with suede and leather uppers and has UltraCush HD impact sockliners to keep the foot close to the board while providing the highest level of impact cushioning. The revolutionary Wafflecup construction offers the support of a cupsole without sacrificing any of the grip or board feel of a traditional vulcanised shoe. The Kyle Walker Pro also features DURACAP upper reinforcement in high wear areas for unrivalled durability. The Vans SK8 High Black/White Shoes are the legendary lace-up high top! 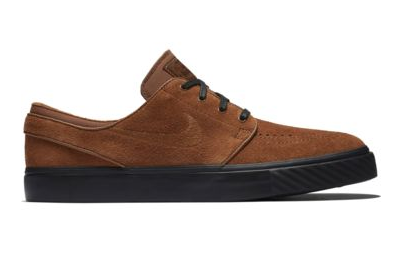 Vans are a staple in skate culture and street style and this skate sneaker is no exception. Introduced in the early 70’s, the Vans SK8 Hi was responsible for the reduced number of ankle injuries in the skating scene with the extra padded ankle support, but its popularity has grown across different cultural scenes. The Vans SK8 Hi True White is constructed from a combination of canvas and suede and features the signature side stripe detail and vulcanized waffle sole. These Vans SK8 High Pro Checkerboard Desert Rose Shoes are the high top classics you love with a few modern upgrades under the hood. The Vans Slip-On Pro Raisin/White Shoes, features sturdy canvas and suede uppers side rubber inlays. Also, single-wrap foxing tape, UltraCush HD sockliners to keep the foot close to the board while providing the highest level of impact cushioning and Vans original waffle outsoles made of a rubber that offers grip and support. The new Vans TNT Advanced Prototype Black/Magenta White Shoes are the most progressive vulcanised skateboarding shoe to date from Vans. The TNT Advanced Prototype’s new functional waffle tread pattern gives more ground contact for an immediate, broken-in feel. The new tread works on common pressure points in the forefoot and heel to further extend the durability and grip over time. The signature TNT style has rubber reinforcements across the quarter panel and vamp, giving more protection for sensitive wear and tear areas! To clelbrate Independent’s 40th anniversary, Anthony Van Engelen’s signature AV Classic shoe combined with Independent’s distinguished cross logo, to produce the Vans x Independent AV Classic Pro 2 Dress Blue Shoes! Bringing out the best in two legendary brands, the Vans x Independent Gilbert Crockett 2 Pro Shoes are next level!